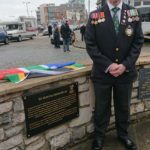 PORTSMOUTH, UK – In a week in which we commemorate South African naval and maritime losses, two events took place in Portsmouth. 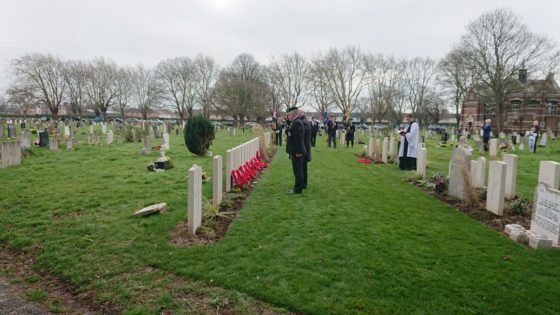 On Monday 18 February wreaths were laid to commemorate HMSAS Southern Floe and the SAS President Kruger. 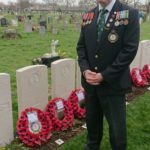 Cameron Kinnear, Chair of the UK & Europe Region of the SA Legion pays his respects. 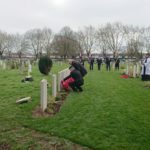 On the 21st, South Africa’s Armed Forces Day, wreaths were laid at Milton Cemetery to commemorate the sinking of the troopship SS Mendi. Milton Cemetery is the resting place of nine of the dead. A further five are dispersed on the southern coast of the UK, one lies in France and five (or possibly six) in Noordwijk in the Netherlands. 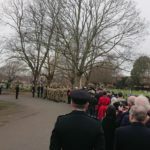 Standards were paraded, commanded by Portsmouth stalwart Chris Purcell. 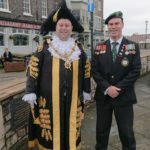 The Lord Mayor of Portsmouth Councillor Lee Mason opened the service with a short retelling of the incident, and underlined the commitment that the City of Portsmouth has undertaken to commemorate the men of the Mendi. 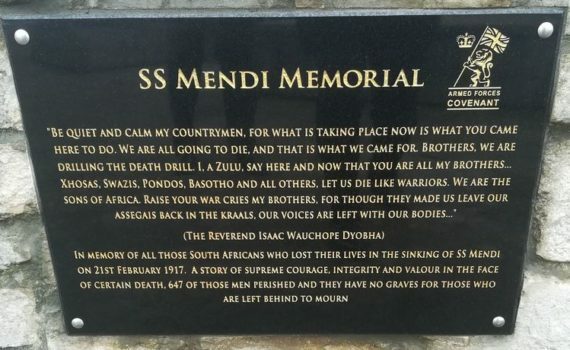 A poem entitled The Sinking of the SS Mendi was read by a cadet from B Company, Hampshire & Isle of Wight Army Cadet Force. 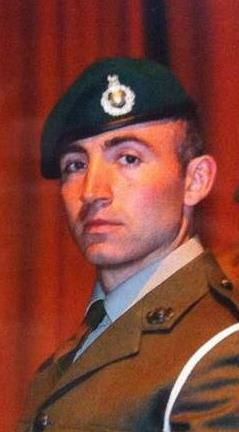 The Act of Remembrance was led by Reverend Marcus Collie. 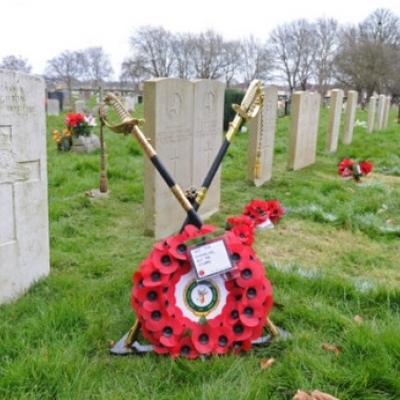 It was noted that the CWGC had completed work to replace the shared headstones with one headstone per man. 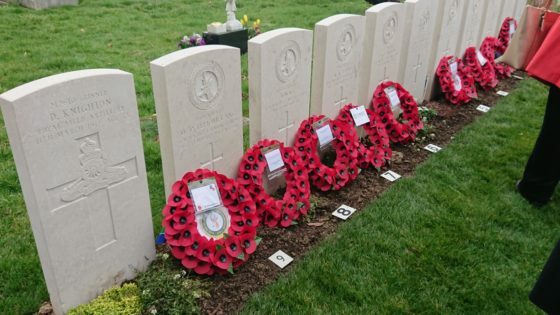 In this image from the 2013 ceremony the headstones can be seen to be memorialising more than one man, and the area is not as well kept as today. 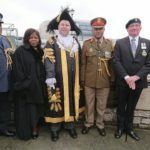 After the Milton Ceremony, the focus then moved to The Point in Old Portsmouth, an iconic part of the city that overlooks the busy harbour of Portsmouth. 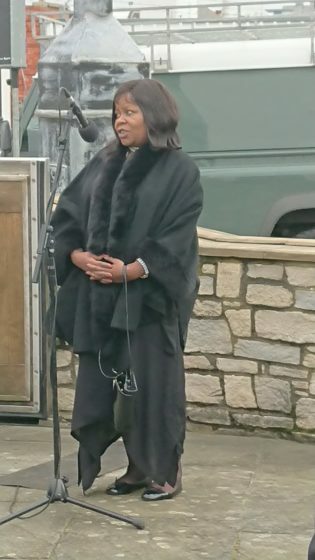 The Lord Mayor welcomed the attendees, and then her Excellency Ms Nomatemba Tambo made a short but eloquent speech and thanked all for continuing to commemorate and honour the men of the Mendi. The stone was then unveiled. At the request of the High Commissioner, Mayor Mason read the inscription to the assembled guests. The guests then attending an art exhibition at the Portsmouth Cathedral. 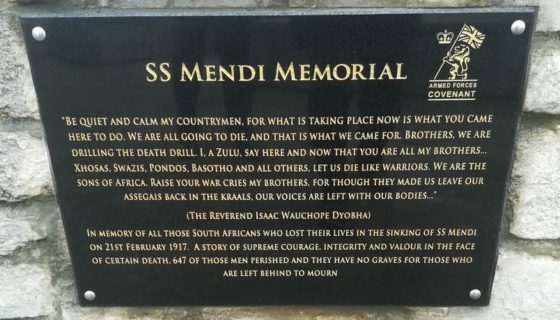 The exhibition included a painting of the SS Mendi. 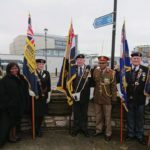 Colonel Mpela, High Commissioner Ms Tambo, Mayor Mason, Brigadier-General Ramabu and Chris Purcell of the Standard Bearers detachment. 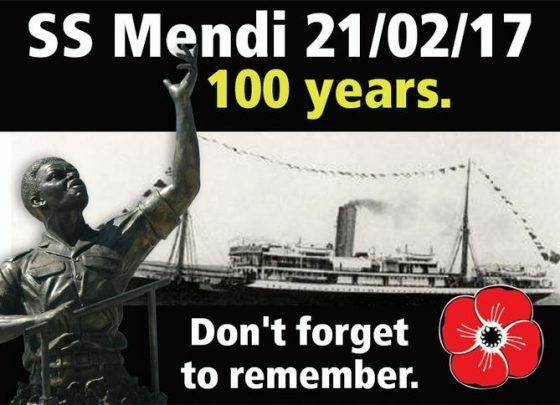 WW1: SS Mendi, which lead to 616 South Africans and 30 crew who lost their lives at sea, in South Africa’s biggest naval loss in history. WW2: HMSAS Southern Floe, was sunk by a mine off Tobruk with the loss of 27 men, with one survivor, Stoker C J Jones. Post-WW2: SAS President Kruger, President-class Type 12 frigate which sank in 1982 with the loss of 16 lives after colliding with her replenishment oiler, SAS Tafelberg, in the South Atlantic. This day also marks South African Armed Forces Day. Congratulations to Lydia Mellor and team for the superbly run events. 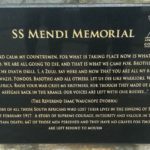 Amidst the South African Nation celebrating the success of Wayde van Niekerk’s gold in the 400m 2017 athletics World Championship in London, another milestone slipped by almost unnoticed – the laying of the commemoration plaque on the wreck of the ship which has captured the national spirit. On February 21st 1917, a cold foggy morning at around 05:00 in the English Channel in freezing weather conditions, there loomed a recipe for a shipping disaster which was to cause barely a blip amid the chaos and carnage of World War I. However no one could anticipate the consequential impact down the years in South Africa; a moment that would embody the national spirit. 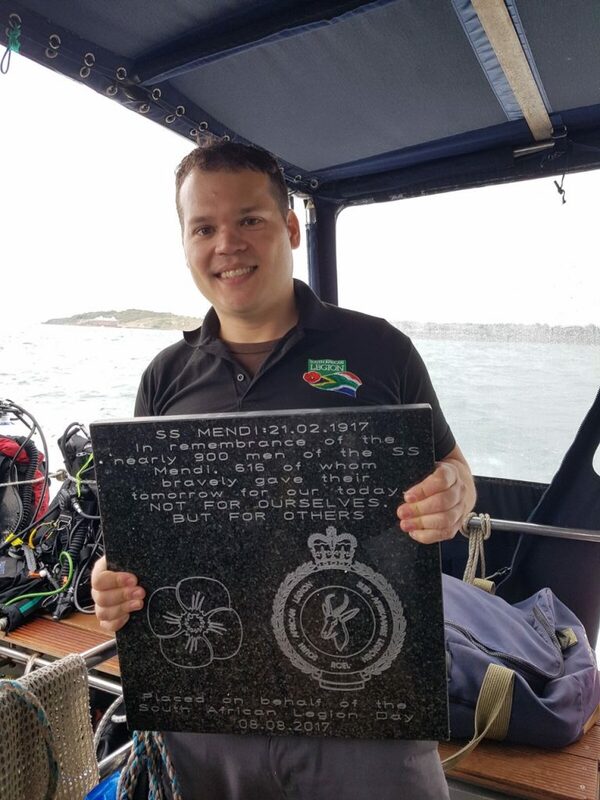 “Credit to the skipper Dave Wendes for his hospitality and for getting us there smoothly in the choppy conditions of the day, as well as to all the fellow divers who all enthusiastically contributed to the success of this initiative”. While many in South Africa may still view the two world wars as “white man’s wars”, nothing can be further from the truth. Of all South Africans involved in World War I, almost 85,000 were of colour (almost 40%). A similar ratio stands for WWII. The contribution from SA of all races towards the world war efforts on a global stage is undeniable. 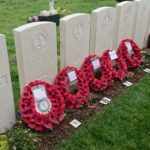 Some may view these as pressed men, forced in to the war effort; some may view them as servicemen who volunteered, but one thing is certain is that they were men. They left us with their boots on, singing the death dance, unified in their peril. The sea does not discriminate. 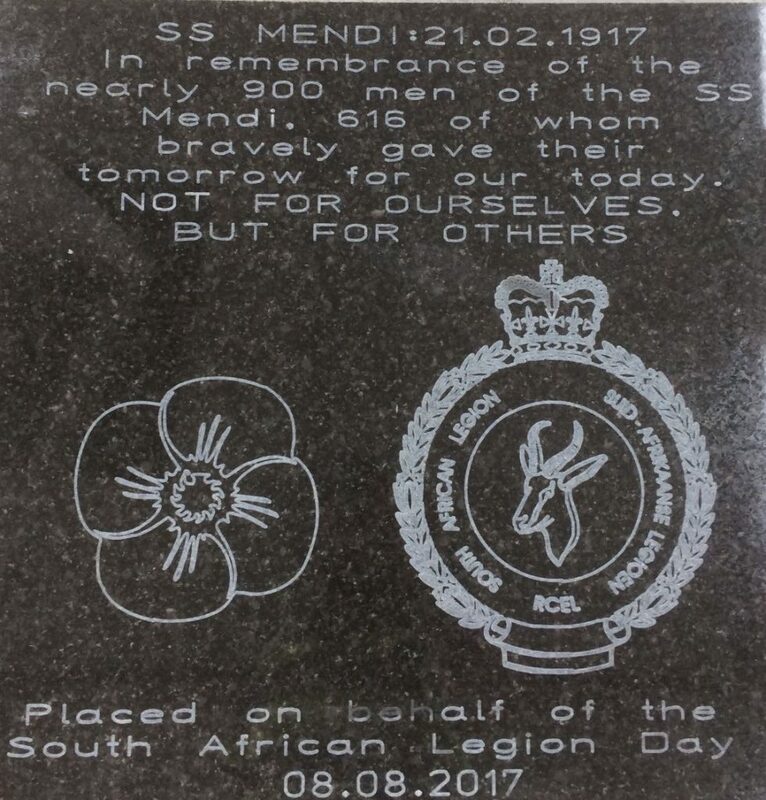 This South African Legion initiative to honour these men with the laying of this plaque concludes the final centenary memorial service. 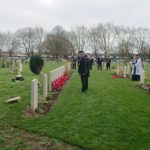 The South African Legion played a critical role in the build-up to the centenary having initiated memorial services at Hollybrook five years ago. 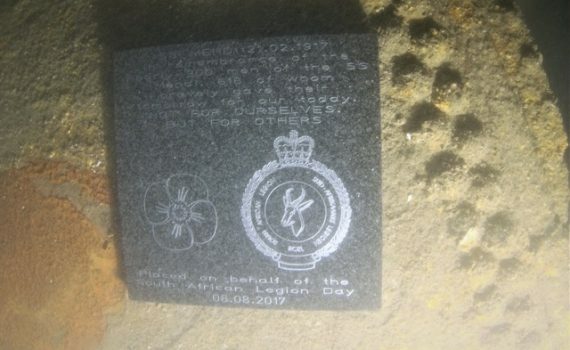 The plaque was not bolted onto the wreck, but placed there gently and will not interfere with the vessel in any way. 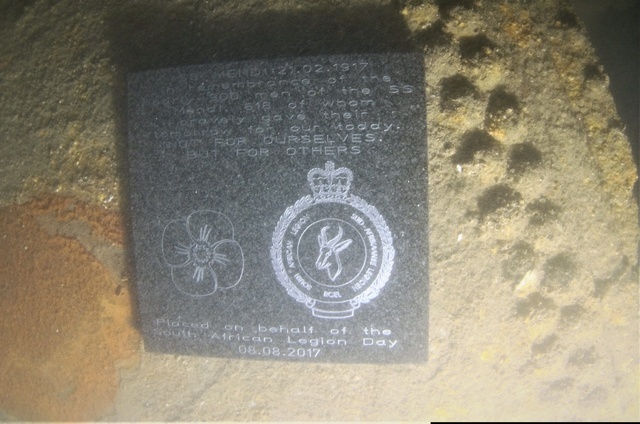 It was placed in an appropriate position on the wreck, where it will stay and act as a lasting memorial, some 40m under water. 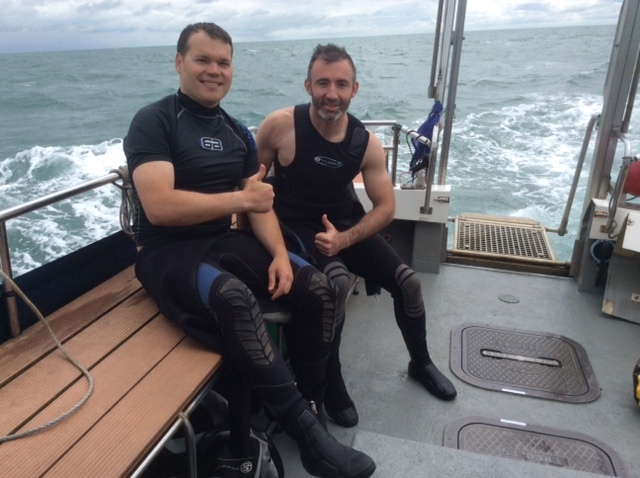 Getting there To visit the wreck site, contact Dave Wendes, who runs boat trips with his boat Wight Spirit. To get to the launch boat in Lymington: Lymington is situated on the south coast with Southampton to the east and Bournemouth to the west. From Royal Lymington Yacht Club follow the signposts to the seawater baths. Along the way you should see the slipway and the pontoons, which is where the boat pickup point is.